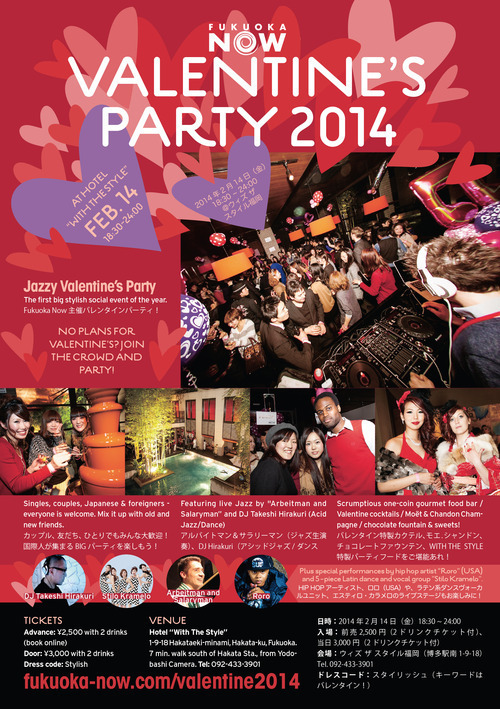 I will be performing for Fukuoka Now’s, Valentines Party on February 14 at Hotel, “With the Style”. This is going to be a great event so you all should come! !